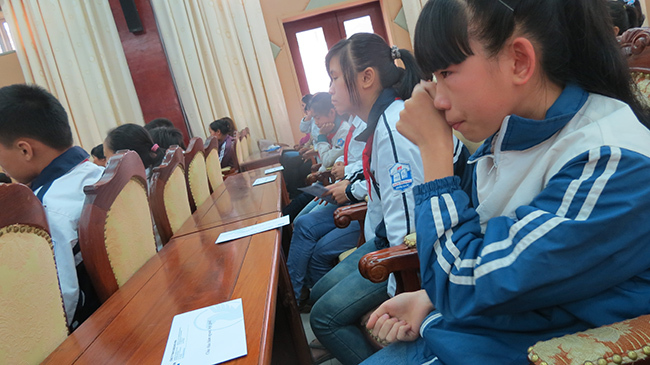 On 12/04/2013, Sungshin Vina Co., ltd held a ceremony to present scholarships for disadvantaged students with good academic records in Hoài Đức district, Hà Nội – where the company locates its headquarters. 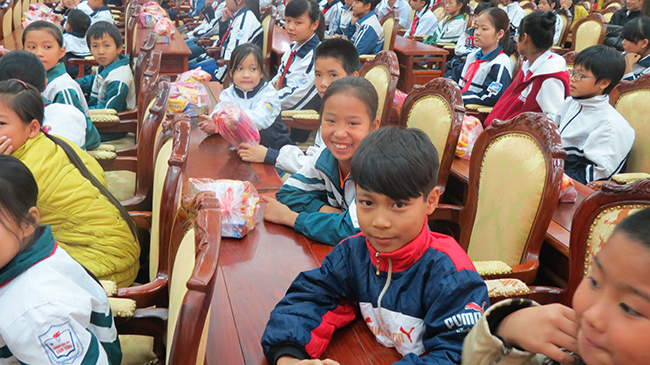 Attending the ceremony, there were representatives of the people’s committee of Hoài Đức district, students together with parents and teachers in the area. Overall picture of the event. 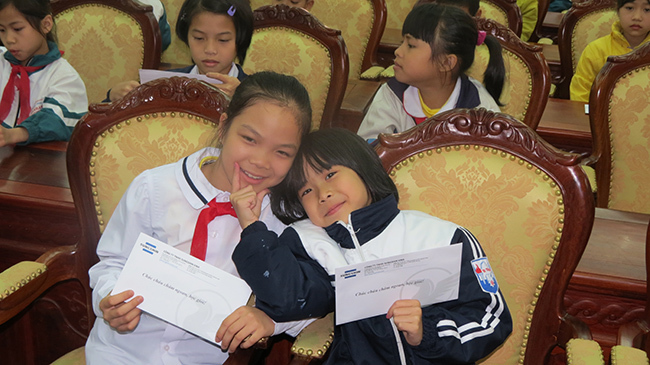 100 scholarships were presented to 100 students, each scholarship valued 1,000,000 VND. 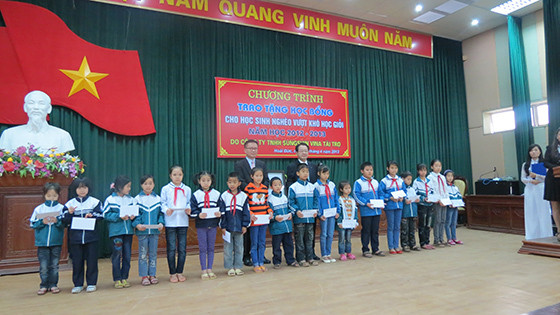 Scholarship holders were students with very hard lives, yet they all demonstrate adorable academic endeavor- which are highly recognized by teachers and classmates. Nguyễn Trọng Nguyên delivering speech. Little child burst into tears. Overcoming so many life miseries, those students always try their best in studying to gain good academic achievements. Nguyễn Trọng Nguyên was the one who became honors student in 4 years continuously. 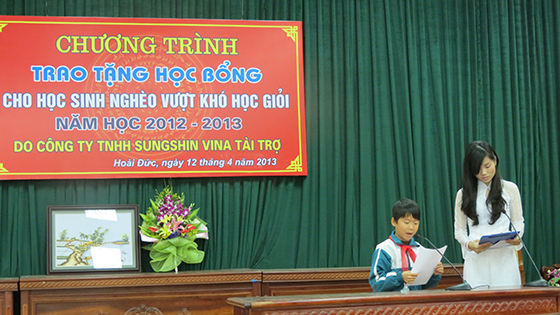 In his speech, Nguyên expressed gratitude to Sungshin Vina for the kindness to care and console students of hard lives. For prolong values brought by this social activity, Sungshin Vina will attempt to make this become an annual activity of the company in Việt Nam.